There are so many different types of earrings to choose from (see some fabulous items in our article on the latest accessory trends). But, one great way to narrow down your options is to choose your earrings to suit your face shape. Here’s some inspiration for you on what earrings will look best on you, whether your face is round, square, oval or triangle-shaped. You’re probably already using lots of tips and techniques to flatter your body shape, but choosing the right pair of earrings can really make a difference to both the way your face looks and to your outfit. Just as with your clothing, think about choosing earrings which will create balance. So, if you have a round face, for example, you will want to elongate it, but if you have a rectangular face, you will want to create some roundness. If you’re not sure what face shape you have, then pull your hair back, look in the mirror, and see what shape is closest to your own! Your face will be about one-and-a-half times longer than it is wide, and your forehead is likely to be slightly wider than your chin. 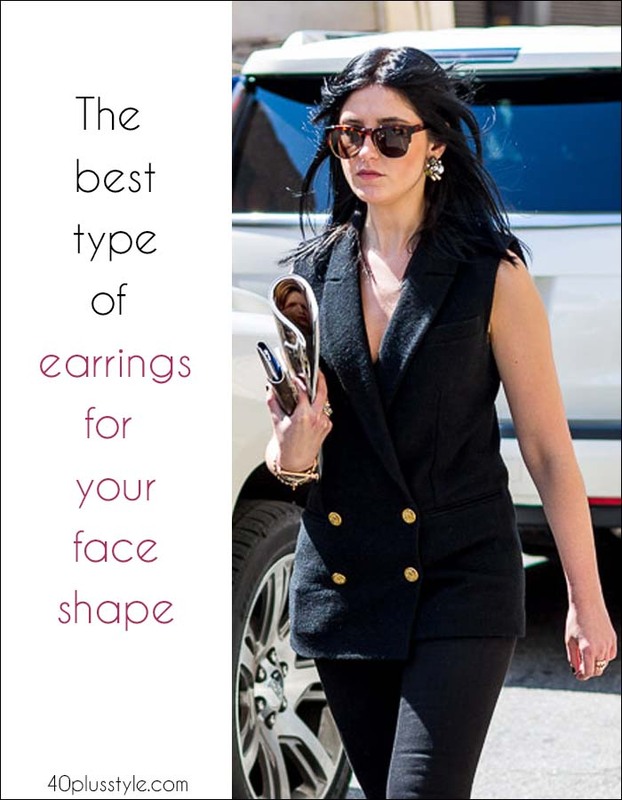 Luckily for you, just as the rectangle body shape offers versatility in what you can wear, there are lots of earring styles that you can wear if you have an oval face. Celebrities with oval-shaped faces include Tina Fey, Charlize Theron, Julianne Moore and Jamie Lee Curtis. The earrings you are likely to find most flattering are pearls, oval shapes and teardrops. But, really, you can wear anything, so enjoy trying different styles! 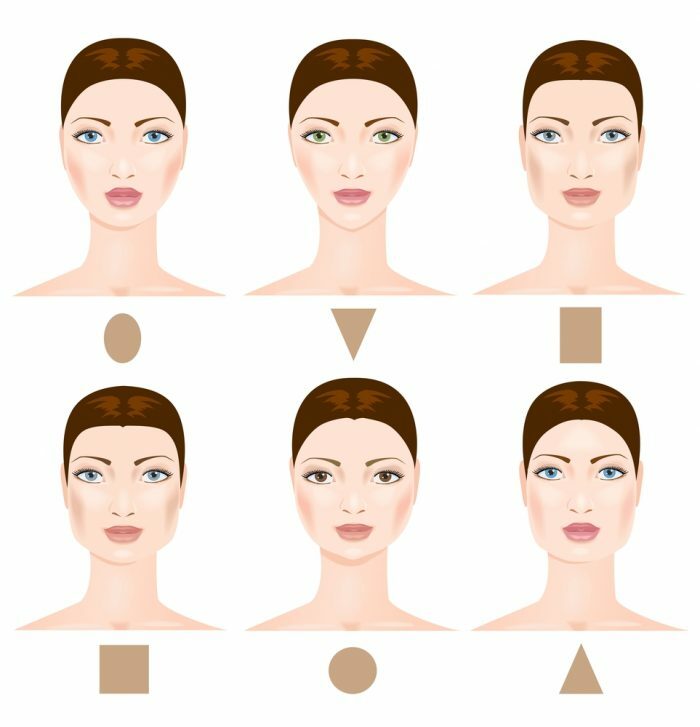 If your cheekbones are your widest point and your face continues to taper as you get towards your chin, then you have a heart-shaped or inverted triangle-shaped face. Some celebrities with heart-shaped faces include Halle Berry, Reese Witherspoon and Eva Longoria. 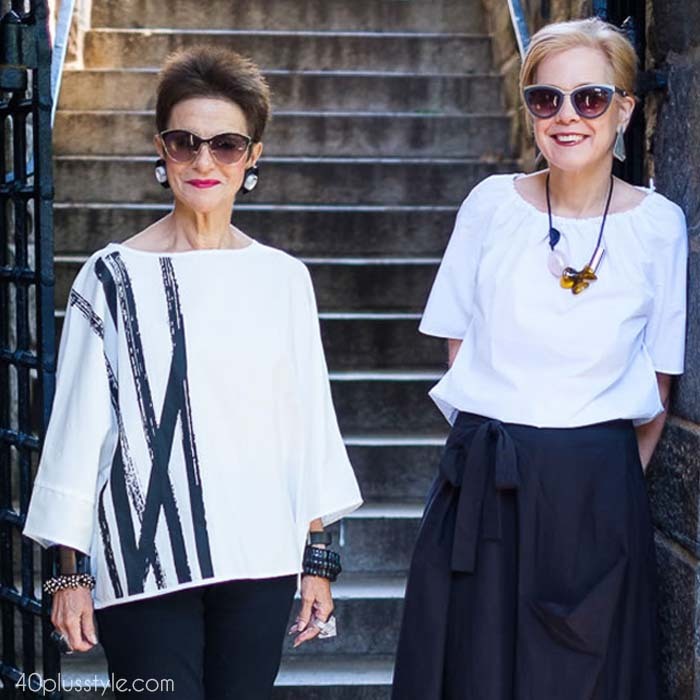 Just as you would balance out your body shape with the clothes that you choose, opting for earrings that are wider at the bottom than they are at the top can balance out the natural triangle shape of your face. A teardrop shape should work beautifully for you. Those with a rectangular face have a forehead and jaw which are similar in width and a long, narrow face which travels straight down. If you want to look at celebrities for inspiration, then those with a rectangular face include Meryl Streep, Raquel Welch, Courtney Cox and Liv Tyler. The best earrings to flatter your face shape will be those which add some width to your cheeks. Don’t, however, go for long drop earrings as these will simply add extra, unwanted length to your face. If your face is circular, you’re in good company. Celebrities with round faces include Drew Barrymore, her Charlie’s Angels castmate Cameron Diaz, and British rose Kate Winslet. Choose drop earrings and long dangly earrings to elongate your face shape. The width of your forehead, cheeks and your jaw will all be pretty similar if you have a square face shape. Famous faces with the same face shape, include Jennifer Aniston, Katie Holmes, Geena Davis and Demi Moore. When looking for earrings, look for those which are relatively long as these will help to elongate the angles of your face. Try to avoid square shapes though as these will only emphasize the angles of your face. Instead, soften the edges with ovals, teardrops and curved edges. If your jaw is the widest part of your face, then you have a pear face shape, like that of celebrities Minnie Driver and Kelly Osbourne. Choose earrings which are wider at the top than they are at the bottom to balance out your face shape, just as you would balance out a pear-shaped figure. Do you take into account your face shape when choosing earrings? What are your favorite types of earrings to wear? I have a very strong jaw/square face and by FAR my favorite earring to wear is a large hoop. I find this is absolutely the most flattering for me. I wear almost nothing else! Love your articles Liz! Would you have any additional advice on choosing earrings for those who wear glasses? Thank you! Belated thanks Liz! I agree, and look forward to that article!